Situated in the historical district, this hotel is 9.4 mi (15.1 km) from Sedona Estate. Neat and tidy. Convenient to supermarkets which are walkable. 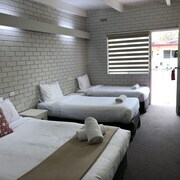 Our experience at Mitchelton Hotel Nagambie was excellent. Staff were very friendly and welcoming. Where to find Seymour hotels near an airport? Where can I find hotels in Seymour that are near tourist attractions? 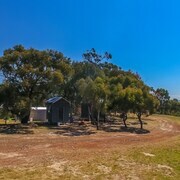 Planning to spend several nights in Goldfields and would like to stay close to central Seymour? There are 3 Expedia-listed accommodation options within a 0.1-kilometre (0.06-mile) distance of the heart of town. Booking a room in central Seymour has never been easier. Expedia's up-to-the-minute database features the Comfort Inn Coach and Bushmans and Best Western New Crossing Place Motel, all of which are within a 1-kilometre (0.6-mile) radius of the town center. 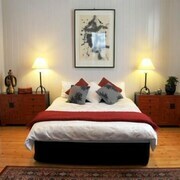 You could also check out the Trawool and also the Nagambie Waterfront Motel. The Trawool is 13 kilometres (8 miles) away from the heart of Seymour. 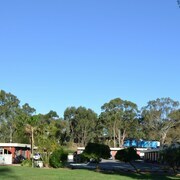 The Nagambie Waterfront Motel, is located 25 kilometres (16 miles) away. 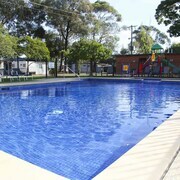 You could also book a bed at the Nagambie Lakes Leisure Park or the Harvest Home Boutique Hotel. Looking for more things to do? Why not spend the day enjoying Lancefield Park and Lancefield Golf Club, in Lancefield, 45 kilometres (28 miles) to the southwest of Seymour. Expedia-listed Lancefield hotels include the The Grange At Cleveland Winery and The Grange At Lancefield Retreat. 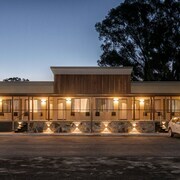 Or, you could stay in Bendigo, 80 kilometres (51 miles) to the west of Seymour, where you can pick from the Quest Bendigo and Hotel Shamrock Bendigo. The Rosalind Park and Central Deborah Gold Mine are popular places to check out while in Bendigo. Why not spend an afternoon hanging out with fellow sports enthusiasts at a local match. Melbourne Cricket Ground is 90 kilometres (56 miles) to the south of Seymour. For travelers who are keen on booking accommodation nearby, make a reservation in the Apartments @ Docklands or Crown Towers. For travelers planning on flying via Tullamarine Airport, you may plan to book accommodation at PARKROYAL Melbourne Airport, or Holiday Inn Melbourne Airport, both of which are conveniently located nearby. What are the most popular Seymour hotels? Are there hotels in other cities near Seymour? 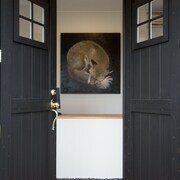 What other types of accommodations are available in Seymour? Explore Seymour with Expedia.ca’s Travel Guides to find the best flights, cars, holiday packages and more!